At Guaranteed Plumbing, our Raleigh plumbers and water treatment experts believe that every family deserves to have the highest quality drinking water within their homes. As such, we provide a wide line of water treatment services that use the most advanced technology to achieve the safest and healthy water possible. Our highly skilled experts can install a water purification system directly into your water supply. Afterwards, you can feel confident that your family is drinking healthy and safe water. Call Guaranteed Plumbing today if you need to hire a professionally licensed plumber to install a water purification system in Raleigh. Our courteous and polite staff would be happy to assist you in any way that we can. Our water purification experts would be glad to answer any questions that you may have about the quality of the water within your home or about our wide range of amazing services. We would be very excited to schedule your appointment today. Although water filtration and water purification are often used interchangeably, they can mean two distinct things. When it comes to water quality, there are two primary concerns. These concerns are differentiated by the type of contaminants present. Water filtration is focused on removing inorganic chemicals, sediment, and minerals from water, whereas water purification is focused on destroying or removing harmful mircoorgamisms that can be present in your drinking water. At Guaranteed Plumbing, our Raleigh plumbers and water treatment experts specialze in both water filtration and water purification. At Guaranteed Plumbing, our Raleigh plumbers and water treatment experts can install a highly advanced ultra violet water purification system in your home. UV water purifiers are capable of killing 99.99% of the harmful microorganisms that are present in drinking water. As such, they remove bacteria, microbial cysts, and viruses from the water that your family drinks. Best of all, UV water purifiers accomplish this amazing feat without having to rely on harmful chemicals. When you install a UV water purification system in your home, you will not have to add chemicals to your water supply that can negatively impact the quality of the water that you and your family drink. At Guaranteed Plumbing, our Raleigh plumbers and water treatment experts can help you with all of your installation, repair, and maintenance needs. Our professionals have the knowledge, skill, and experience necessary to take care of your water purification system at all stages of its service life. 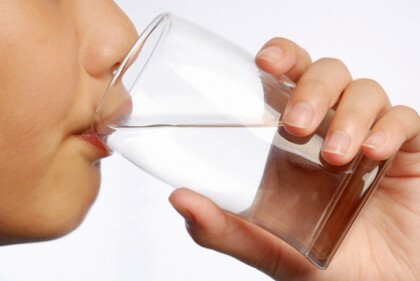 When you hire us to conduct water purification services, you can feel confident knowing that you have taken the best steps to improve the quality of the water in your Raleigh home. If you need to hire a professionally licensed plumber to install a water purification system in Raleigh, call Guaranteed Plumbing today at 919-758-6237, or fill out our online request form. "I hate plumbing problems!!! It means money to me. But I called 919-Plumber and they were very reasonable [...]"
"The repair was minor, but the service was quick and professional. A good value for the money."